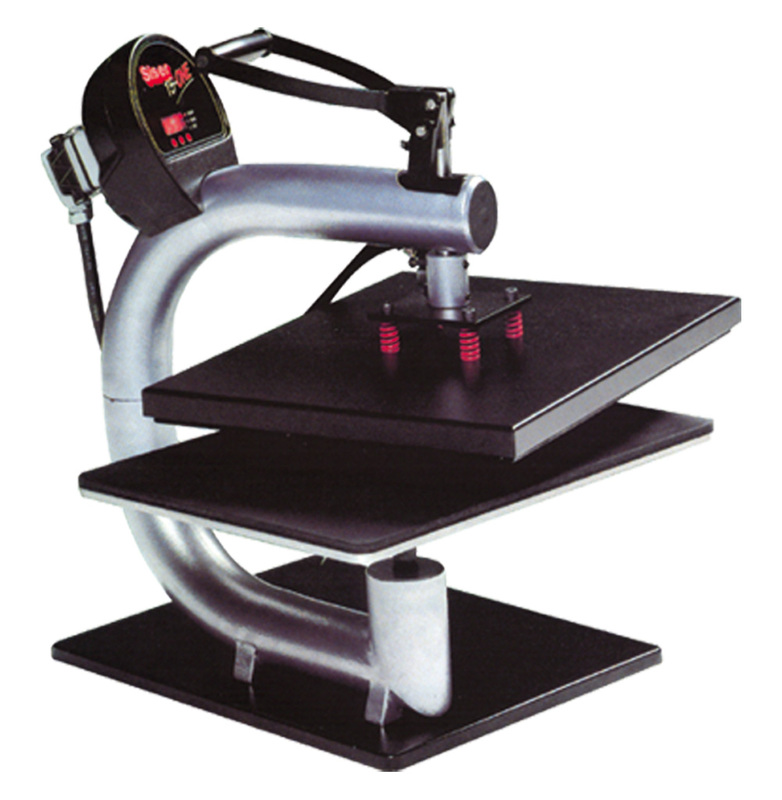 Siser TS One is a universal manual heat press with a unique patented design that allows you to apply textile transfer materials with ease. The wide opening angle of the upper arm and the large workspace between the frame and the plates allows you to apply transfers to bulky garments easily and safely. Siser TS One has a digital temperature and time display, There's also an audio alarm to alert the user for the end of the transfer time. Adjustable pressure for various applications depending on the characteristics of each material.